The key part there being "a helpful partner." Let's be honest, we all know that we don't always have the best experiences with random players online; but those times that we do, it leaves us feeling like we should be doing the same. Those feelings then extend out into the real world. John Velez, the professor who conducted the study, observed that "players were more likely to help out pals in social situations and less likely to be hostile to friend and foe alike." 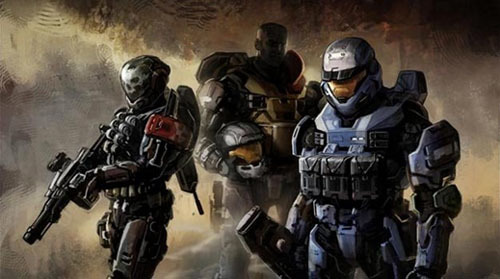 These initial studies used Halo: Reach, Time Splitters, and NBA Street Homecourt to look at behavior in both players vs computer and players vs players scenarios. For the purposes of the studies, the subject who's behavior was measured after the play time was paired with just one other teammate, who was either helpful or unhelpful. After the play session, the subject's social response was measured through a variety of scenarios. Professor Velez is interested in doing more research into this scenario and is looking at expanding the study to include more teammates with whom the subject would interact. It's always nice to see the social and psychological effects of gaming come under scrutiny from the academic world and, even better, to see that there are benefits after all.